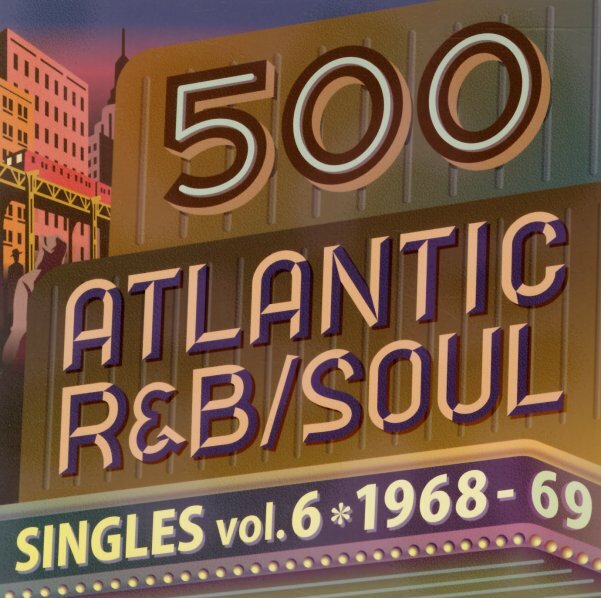 Think you know the sound of Atlantic Records in the 60s? Think again – because this stunning series opens the vault to a huge amount of rare treasures from the legendary label! The package is amazing – and offers up rare tracks that were mostly only issued by Atlantic on singles – including some on the other imprints associated with the company – some by names we never even knew recorded for the label, others by bigger names, but represented here by obscure material that goes way past their hits – and which is ultra cool because of that. There's also a fair bit more deep soul than you might expect from the usual Atlantic mix – tremendous vocals, and often in less hit-heavy modes – which makes the whole thing a great revelation – and just one more reason to bow down and give even more expect to one of the key companies who helped soul music find a home in the 60s. Plus – as if that's not enough – the whole thing comes in a very cool 7" gatefold package – which emphasizes the from-singles nature of the collection. This 6th volume is overflowing with funk and soul goodies – and titles include "Baby Hold On (part 1)" and "Sound Of The Witch Doctor" by The Mohawks, "Getting The Corners" and "What Good Am I" by TSU Tornadoes, "He Ain't Gonna Do Right" and "Love Ain't Never Hurt Nobody" by Barbara Lyn, "You Got Quality" and "Have A Heart Girl" by Willie Hatcher, "Night After Night" and "The Love That I Needed" by The Blendells, "I Want A Home In The Country" and "I Don't Want To Play No More" by The Demotrons, "Where Did I Go Wrong" by The Embers, "Shipwrecked" and "Sock It To Yourself" by Jerry Williams, "I've Fallen In Love" and "You Are The Circus" by C & The Shells, "Gambler's Blues" by Otis Rush, "Standing On The Mountain" by Percy Sledge, "Crying Won't Help Me Now" and "No Other Girl" by Delorise Berry, "Stone Soul Candidate" and "Don't Be No Drag" by Tony Alvon & The Belaires, "Til I Can't Take It Anymore" by Ben E King, "Soul Sister Brown Sugar" by Sam & Dave, "Part Time Lover" by Clarence Reid, and "Twenty Four Hours" and "Shake A Hand" by Toby Lark. © 1996-2019, Dusty Groove, Inc.